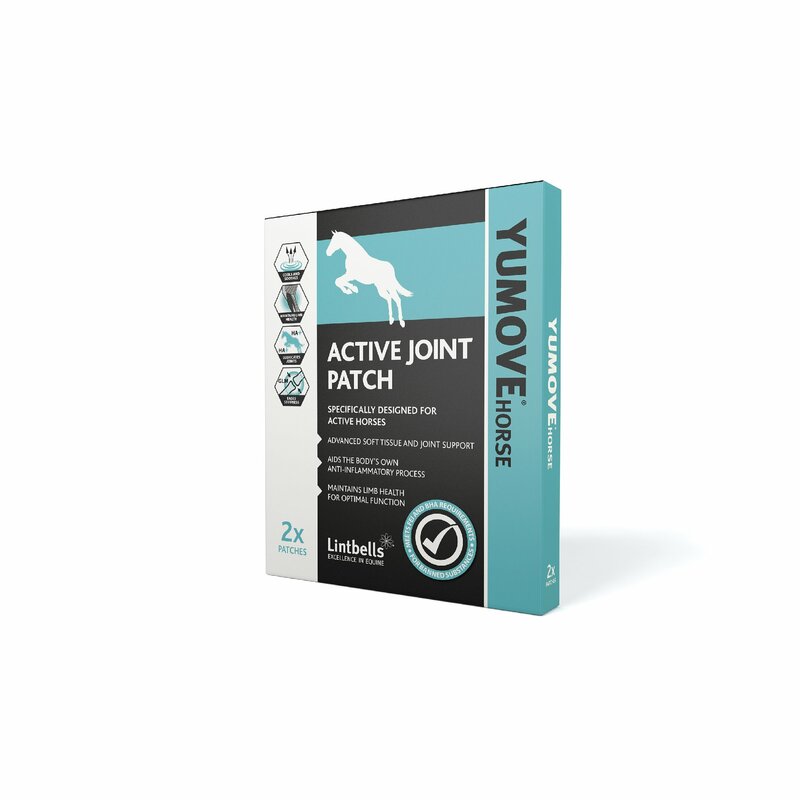 Yumove Horse Active Joint Patch can be used to aid with daily knocks and strains. The Yumove Horse Active Joint Patch contains Green Lipped Mussel oil, Hyaluronic Acid and Menthol. It is designed for short term topical use to ease stiffness, knocks and strains. Green Lipped Mussel has been recognized as an excellent source of Omega 3. This essential fatty acid is respected for its potent anti-inflammatory effects within the body. It has been shown that Hyaluronic acid can effectively help to transport substances across the skin barrier, and help them to penetrate the tissues below. The addition of Menthol into this patch provides an instant cooling effect to the area. The patch can provide noticeable relief within 24 hours, and continue to work for 3 days. Cut the patch to size as required. Peel back the clear plastic film and apply gel side down to the skin over affected area. Use standard bandaging materials to hold the patch in place and leave in place for 24 hours. Each patch can be applied for up to 48 hours. Re-positioning and re-application is advised after the first 24hrs. Do not apply over broken, inflamed skin or on open wounds.